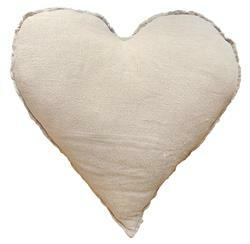 I LOVE MY HEART PILLOW!!!! This pillow is so pretty and comfy and it looks awesome on the linen chair in my office. Has beautiful linen fabric and takes shape very well ..... just fluff it up!